04032013_Becherer_MadrassaPakistan020: Global News Events: Global News Portfolio: New Orleans based Photojournalist covering the Deep South and beyond. AKORA KHATTAK, PAKISTAN. 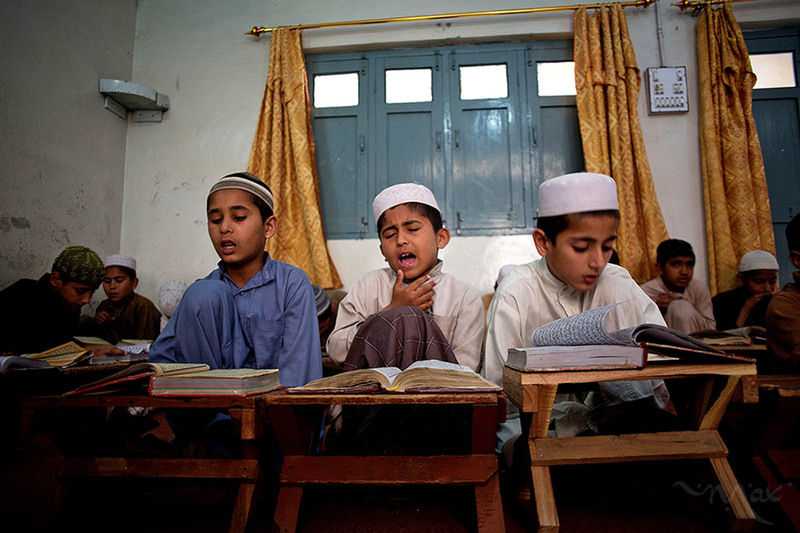 Students memorize the Koran at the Darul Uloom Haqqania madrassa in Akora Khattak, Pakistan on Monday April 1, 2013. Around 3000 students study a type of ultra-orthodox interpretation of Islam known as Deobandi. Taliban leader Mullah Omar is a graduate of the school, which is regarded as a most prestigious of conservative Islamic schools.